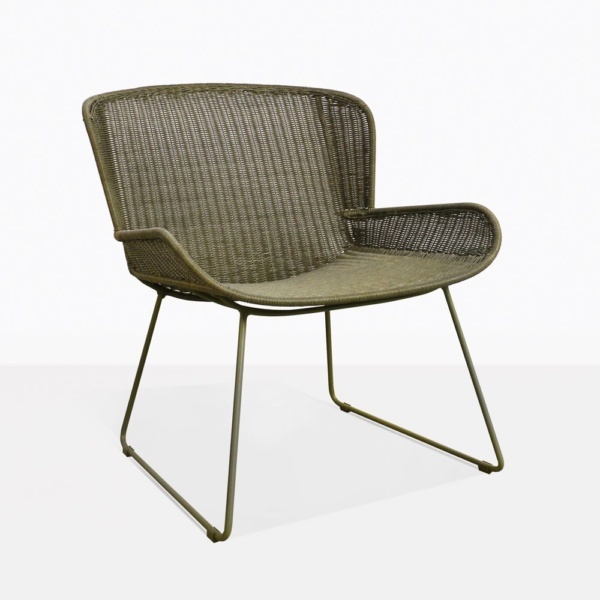 Arched and tightly woven, the Nairobi Pure Wicker Relaxing Chair is designed with strength but is as effortless and cool as it gets. The curvy shape is supported by a powder-coated aluminum frame for that modern yet understated appeal that never needs to prove they’re the coolest one in the room. 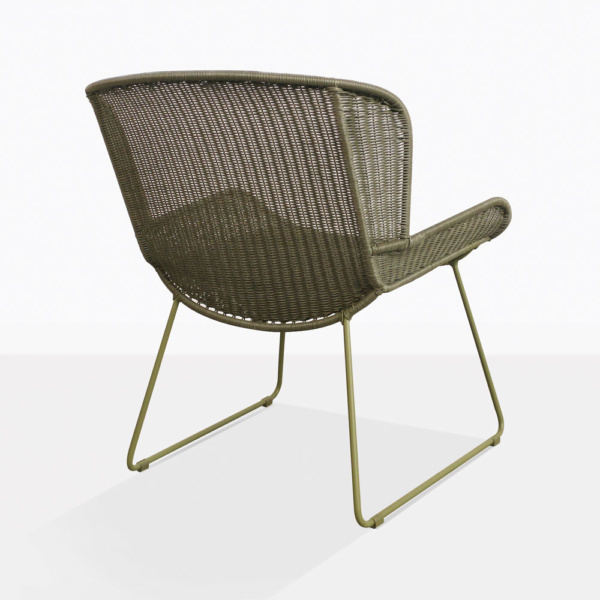 Perfectly executed this chair can be used indoors or outdoors; style your patio, garden, or living room with this unique and beautifully composed piece. 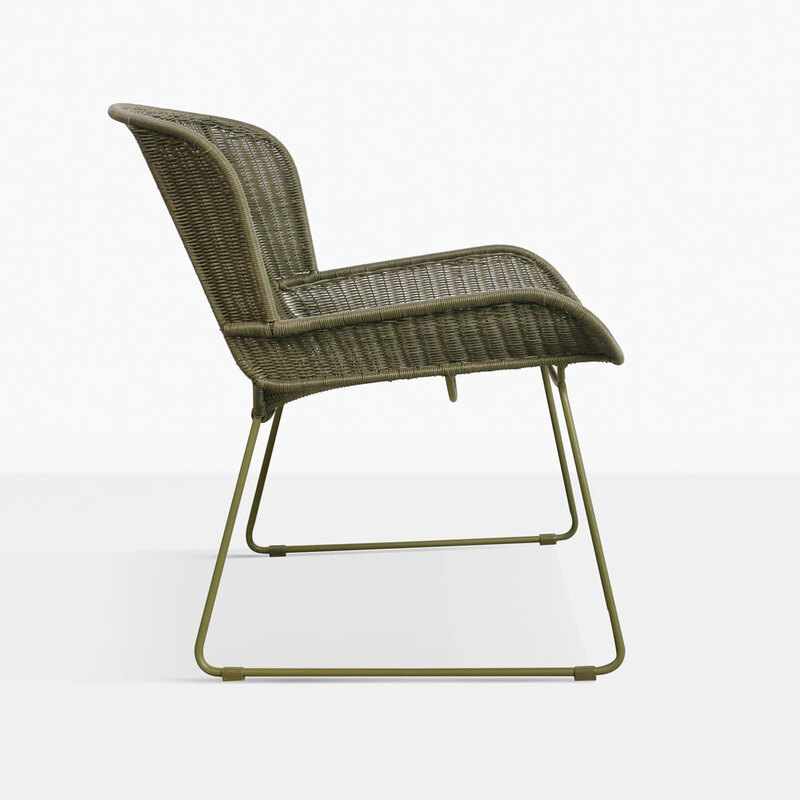 Made of pure wicker, in a lovely earthy green color, the Nairobi Relaxing Chair, will give you the longevity you seek when decorating your space. 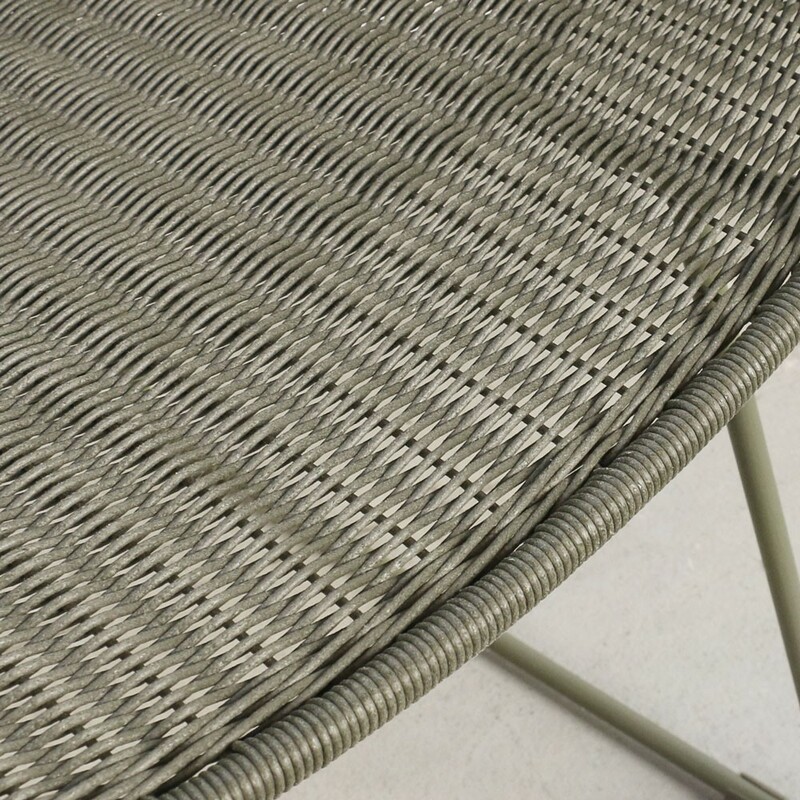 Our wicker outdoor furniture is UV and weather resistant, with a massive list of benefits that wicker furniture has is truly exceptional. Call or email us today to place your order! Or order online and receive a quote!